This week has been a busy one for new releases. Kings of Leon have brought us the fourth single from their forthcoming album WALLS, which is shaping up to be quite the corker. You Me At Six have also released a new single from their album Night People, due for release in January. Both tracks are seriously worth a listen, but this week I'd like to draw your attention to something particularly noteworthy. 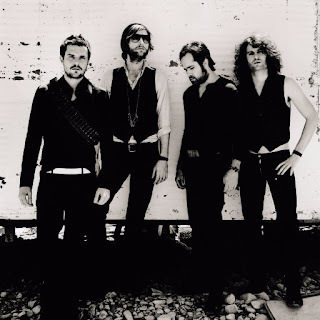 On Friday, a long-awaited demo release by The Killers landed: an unheard track from the era of a record that's very special to me. Everyone knows 2006's classic indie rock album Sam's Town, the successor to The Killer's extremely popular debut, Hot Fuss. Multi-platinum Sam's Town is celebrated for its grandeur, its pace, its impressively over the top intros and outros, and its propensity for being adored while never being taken too seriously. Sam's Town is one of my favourite albums of all time, and although I was only ten years old upon its release, I'm not sure that I've ever truly been as passionate about another record since. Peace of Mind therefore made me rather excitable upon my first listen, and I can't pretend that my opinion isn't a little biased regarding this one. As soon as it begins it's likely to hit old fans of the band with a happy nostalgia, Brandon Flowers crooning over a slow-building start just like he did in My List and Why Do I Keep Counting? The demo is particularly reminiscent of My List, as when it hits the 3:05 mark, you can hear the exact same riff that opens and closes Sam's Town's ninth track. There's a doting, understanding feeling that you get in these moments as a fan; being able to hear exactly how early demos have progressed into your favourite releases is a kind of strangely emotional experience, and it really makes you re-appreciate the final product all over again. Perhaps Peace of Mind was rightfully discarded in order for Sam's Town to become the extraordinary collection that it did, but even in its demo form it's a lovely little track that carries a whole load of emotion. It's a great piece of Sam's Town history and its release, along with the reissuing of the whole record, has been a great, fun way to celebrate the tenth anniversary of an album that remains a favourite for so many. Here's to Sam's Town, here's to 2006, and here's to the poster of The Killers that I proudly stuck on my wall when I was ten years old. You can listen to the track here or in the Spotify player below. I'm so happy to be able to talk about a Courteeners single this week. They're one of my favourite bands, they're bringing out some great new music and quite frankly, they're bloody fabulous so you should absolutely make an effort to listen to this one. Kitchen is the third single from upcoming album Mapping the Rendezvous, the band's fifth studio album due for release on 28th October. All that we've heard from the previous singles has been pretty promising so far, The 17th in particular with its addictive kind of bassy, synthy romanticism. Kitchen differs in sound quite dramatically: the tempo has sped up for this one and it's much more guitar-driven, which is perhaps more along the lines of what fans would expect from their favourite four-piece. What's fresh is this single's funkiness. The opening percussion is catchy as hell and its party tempo doesn't let up throughout. Upon first listen I was kind of baffled: were these riffs verging on country? It wasn't a sound I'd have expected from The Courteeners, but somehow it just works, and it works well. Lead vocalist and guitarist Liam Fray claimed that Mapping the Rendezvous will be the band's sexiest (and best!) set of songs to date, and Kitchen is the single that makes you believe it. It's swift, it's snappy, it's seductive. 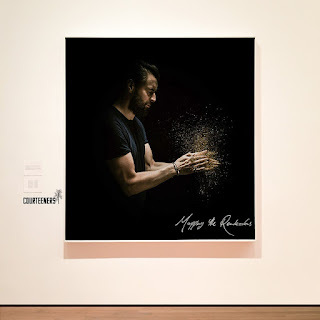 Listen to it on Spotify and keep an ear out for Mapping the Rendezvous if you want to hear more from The Courteeners. 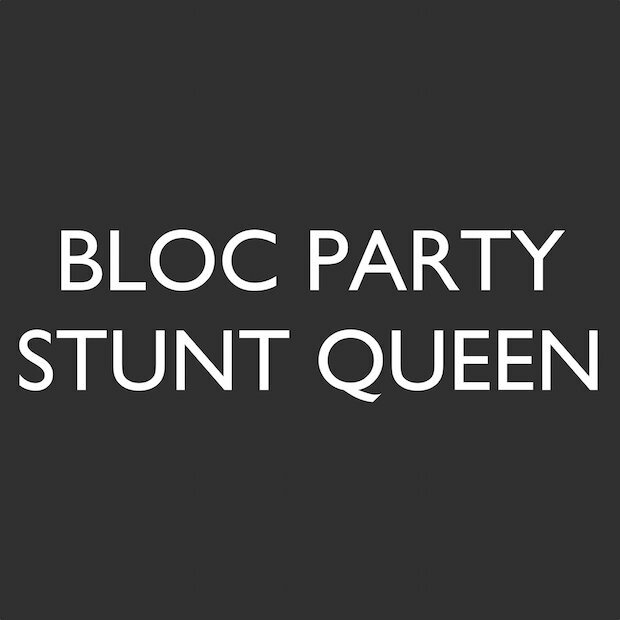 This is the first single we've heard from Bloc Party since the February release of their fifth studio album Hymns, which is often labelled as their 'reinvention' album following the band's change of lineup and consequential softening of sound. In 2013 and 2015 respectively, founding members Matt Tong and Gordon Moakes left the band, leaving Bloc Party's famously tight rhythm section in the hands of Louise Bartle and Justin Harris. Hymns was dark and spiritual, its sombre tones worlds apart from the high-tempo, guitar driven band we knew and loved back in their Silent Alarm and A Weekend in the City era. It's been eleven years since Bloc Party released their debut album and a progression in sound is of course to be expected. Stunt Queen however rather surprisingly takes its listener back to the band's roots, its quick pace and intensity reminiscent of their good old days. It lacks much of their once-celebrated experimentalism and is perhaps much 'poppier' than fans would expect, but this is a track that's catchy, heavy on the hooks and is all-round pretty decent. Its definitely worth a listen! 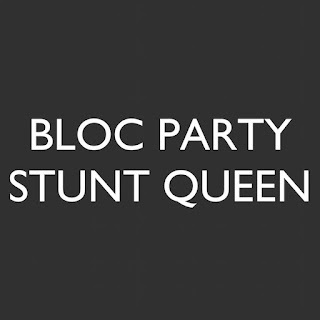 Stunt Queen was released on September 20 to mark Bloc Party's huge performance at The Hollywood Bowl on Friday 23rd. It is the first single to have been recorded by all four current band members, providing a taste of what is to come from Bloc Party Mk II. If you want to see them live in action, they've just announced an intimate show at the 1,700 capacity Roundhouse in London on February 10. Tickets are on sale now. Listen to the new single here or use the Spotify player below. Subscribe to the whole Music Mondays playlist on Spotify here to listen to all of my suggested tracks in one place. Happy Leap Day! I'm doing something a bit unusual for an unusual day this Music Monday: I'm reviewing a whole album instead of just a single. After I chose DMA's single 'Delete' as my track of the week a while back, I was so excited for the album that I decided I'd just have to mention it all over again. Enjoy! Australian trio DMA’s have finally followed up a series of singles and their self-titled EP with full length album, Hills End. A home recorded effort which has become highly anticipated in the months leading up to its release, their debut showcases all that has been making this band increasingly popular. Beautifully simplistic guitar riffs, raw vocals and melodic peaks are recurrent features on the album, nostalgic characteristics indicative of DMA’s Britpop influences and their role in its spirited revival. The album kicks off with the abrupt ‘Timeless’, Tommy O’Dell’s frustration an onslaught through aggressive vocals and an equally dynamic opening riff. ‘Lay Down’ takes a jangly shoegaze turn, its tone more yearning as Tommy sings ‘Shiver in the morning rain / my eyes they drift away with you’. ‘Delete’ is a heart-on-your-sleeve acoustic gem that takes the tempo down a notch: intimately crooned vocals atop a simple instrumental that builds for much of the track before its melodic last minute, the repeated 'Let it all out' an eruption of passion bringing it to a close. ‘In the Moment’ is the band’s most recently released single, a wistful contribution which explodes into an anthemic chorus reminiscent of the sunburst choruses of Oasis. This is the song on Hills End most alive with Britpop’s euphoria and though DMA’s hail from Sydney, they certainly wouldn’t appear out of place in 1990s Manchester. ‘So We Know’, ‘Straight Dimensions’ and ‘Blown Away’ are quite low key offerings. Tommy’s raw voice resounds as seductively throughout all but they fall a bit flat on the harmonic front, the latter half of the album becoming a little tedious. ‘Step up the Morphine’ and ‘Melbourne’ are stand out tracks with gorgeous melancholy vocals and a spacy sound. Hill’s End is a strong debut from a relatively new band. Invoking in its listener a sense of nostalgia for the exhilaration of guitar pop music past, this album proves that DMA’s are ones to watch. Listen to the album using the Spotify player below. Frightened Rabbit have been one of my favourite bands for a number of years, so when they announced the release of new single Death Dream, I was really excited. It's been three years since the release of their last album Pedestrian Verse and in that time the band have lost Gordon Skene as a member. Frontman Scott Hutchison took a break for his own solo endeavours and released an album under the name of Owl John. 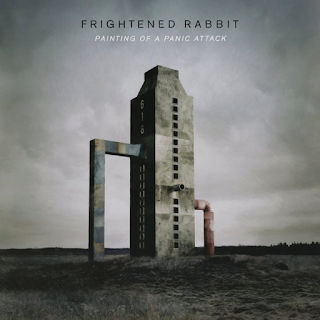 Now though, Frightened Rabbit are back and ready to show us what they've got, and I for one can't wait to hear fifth studio album Painting of a Panic Attack. To tide us over until its 8th April release date we have Death Dream, the first track on the forthcoming LP and the song from which it takes its name. A painting of a panic attack'. It's after this verse that the echoing refrain kicks in, a repetition of 'You died in your sleep last night'. The darkness of the vocals are echoed in the track's instrumental sparsity. The single piano melody in the back is what drives Death Dream, more so than the guitar riffs. This is perhaps the most noticeable change in direction on the new single, but whether this lack of guitar fronting will be a feature throughout the whole album remains unclear. After listening to Death Dream, I'm more excited than ever to find out what Frightened Rabbit will bring us next on the new album. Listen to the new single here, or in the Spotify player below. This week's single comes from Leeds' five piece Dancing Years. Learn to Kiss is a mellow folk-pop track that pulls at the heartstrings: David Henshaw's vocals are yearning, blistering with emotion. It's a single that builds, multiple instrumental layers being introduced as the vocals rise to a symphonic climax. The band have been praised for the instrumental experimentation that creates their distinct orchestral sound, the likes of string harmonies and synthesisers a consistency in their music. 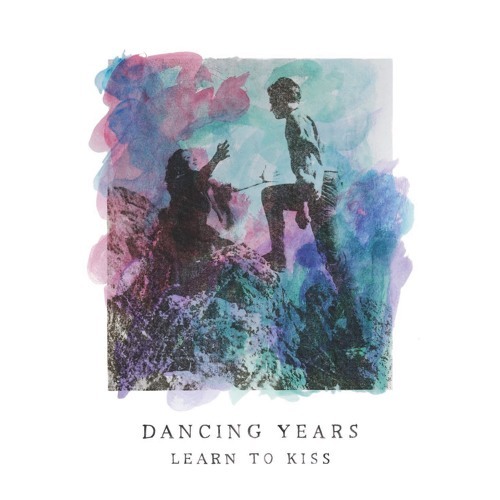 Learn to Kiss is the title track of Dancing Year's newly released EP, featuring three more great songs entitled Valentine, Neon Lights and April. Dancing Years have compiled quite an impressive catalogue of support tours and the acts which they've played under are incredibly telling of their own sound: Benjamin Francis Leftwich, Dry the River, Jamie N Commons, James Vincent McMorrow, Stornoway and Wolf Alice have all recognised the band's talent and they're beginning to generate a lot of excitement. With support from Huw Stephens and Jen Long (Radio 1) as well as Steve Lamacq (Radio 6 Music), Dancing Years continue to make a name for themselves and Learn to Kiss only marks them further as ones to watch. Listen to Learn to Kiss on Soundcloud here or in the Spotify player below. Valentine's Day doesn't have to be about expensive gifts and the fanciest chocolate or champagne you can get your hands on. Showing someone you care can be just as effective through a sweet and simple gesture, even more so if you go the extra mile and create something home-made. A gift you've made yourself gives it originality and a personal touch and the lucky recipient will undoubtedly appreciate the effort that you've gone to. 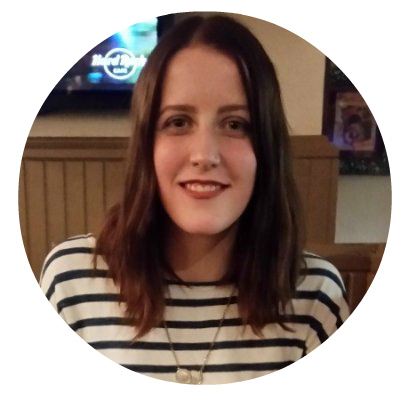 I'm on a student budget, and what could I buy that's better than brownies, anyway? 1. Preheat the oven to 170°C/325°F and line your tin with greaseproof paper. 3. Add your flour, sugar and eggs and stir well until you have a smooth, thick mixture. I used an electric whisk to quickly run through the mixture but a wooden spoon works just as well for the less lazy. 4. Spoon the mixture into your lined tin and place in the oven for around 30-40 minutes. You want them to be flaky on top but quite gooey in the centre - test the consistency with a fork to determine whether they're done. 5. Leave them to cool. Be patient! If you're anything like me you'll be keen to get onto decorating but if you leave them for a few hours they won't crumble as you remove them from the tin. 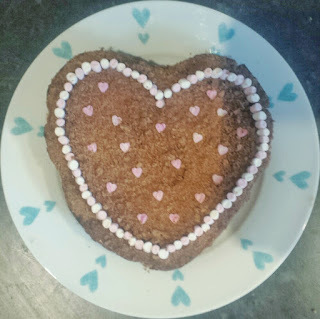 This was especially important for the Valentine's brownies because they had to stay in their heart shape! 6. Decorate as preferred, or enjoy them as they are! I don't usually add anything to my brownies but wanted them to look special for the occasion. First I spread a very thin layer of Nutella over the surface of the brownie (not all over, just enough for the toppings to stay in place). Then I grated some aero milk chocolate and sprinkled it all over, before positioning the marshmallows in a heart shape using a little more Nutella. Lastly I added the marbled hearts in the centre as a finishing touch. I think the end result looks pretty good, and I'm sure they're going to taste amazing too! Of course, brownies are suitable for any occasion so this recipe isn't just for Valentine's. Let me know if you make them yourself, and happy Valentine's Day! © Be Hamer. All rights reserved.